two weeks to finalise the bidding norms, some members pointed out that setting high net worth as an eligibility condition would block the prospects of many airline companies. In fact, the difference in opinion between the two government bodies has led to a delay in the announcement of the expression of interest. The core group has now suggested that a company with a proven track record of running a successful airline be allowed to bid even its net worth is negative. The CGD is headed by the Cabinet secretary and comprises secretaries to the Departments of Economic Affairs, Revenue, Expenditure, Public Enterprise, Corporate Affairs, Legal Affairs, and Civil Aviation. “The committee of secretaries opined that aviation as an industry often has to withstand external economic or market downturns and long periods of revenue losses or low profit margins, which can result in a negative net worth despite the airline’s operating performance being strong,” an official told Business Standard. “A high net worth criterion will disqualify many international airline groups,” he added. A financial downturn of the global economy in 2007 and periods of high oil prices have resulted in major airline groups reporting losses for consecutive years and having negative net worth. For instance, among Indian airlines, only IndiGo has positive net worth, while rivals SpiceJet and Vistara have negative net worth. Among global majors, Air France-KLM has only recently managed to improve its profitability since the worst years in the aftermath of the global financial crisis. Richard Branson-owned Virgin Atlantic reported a loss in 2017, primarily due to forex fluctuation. After discussions, a consensus has emerged that in case of single bidders, companies with negative net worth will be eligible to bid provided they have a proven track record of efficiently running a major airline. Further, if a clutch of airlines are bidding jointly, the consortium as a whole must meet the net worth criteria even if the lead member does not have a positive net worth. “The net worth criteria will be strict for non-airline bidders like private equity funds or companies with no experience in the aviation sector,” the official said. 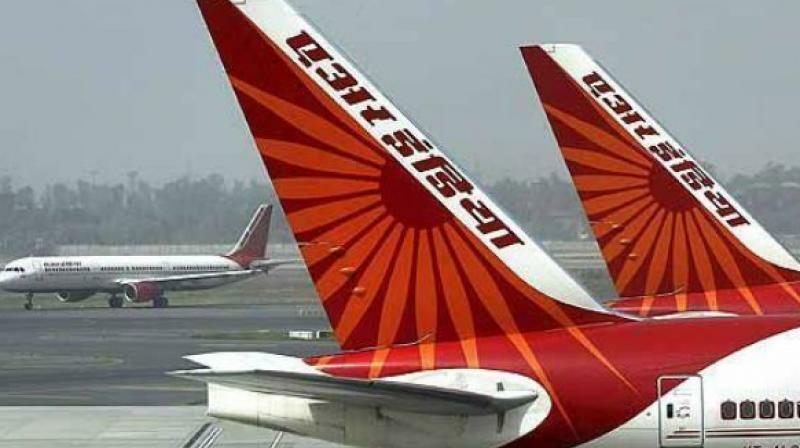 “This is to ensure that only serious companies capable of handling a complex entity like Air India bid.” The government is expected to ask suitors to submit a business plan for Air India for a duration of three years. A final call on the modalities of sale will be taken up by the group of ministers. While IndiGo has publicly announced its interest in Air India, media reports have said a consortium of Tata Sons-Singapore Airlines and Jet Airways-Air France-KLM could participate in the disinvestment process as well.